Core to how the P.E.A.C.E. methodology is rolled out is the access to information for communities living adjacent to game reserves. This access to information is facilitated through the deployment of Hubs, which also provide a central point where communities can meet and interact. Both the IT centre and radio station in Vaalwater are tools which empower communities through the dissemination of information relevant to those within the same community. ERP has employed Letticia Mahlaji as one of the members of staff at the radio station. 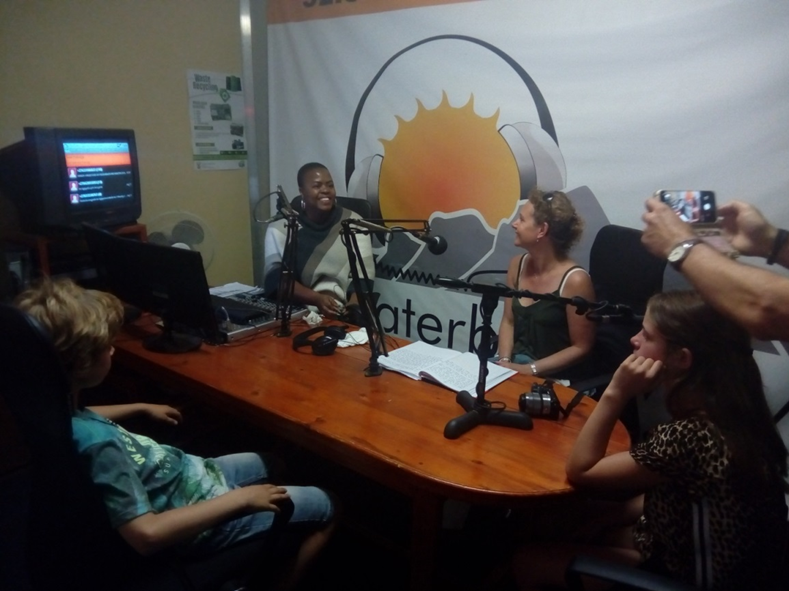 Letticia hosts a daily programme, Hlago yaAfrica which promotes ERP’s vision and mission of conserving elephants and rhinos through the alleviation of poverty. In some instances, she features people from ERP in her programmes, and in some instances has interviews with some of the people from ERP projects. Waterberg Waves also looks at integrating the environmental, conservation and people oriented calendar events into its various programmes aired daily. These include World Environment Day, Abhor Day, Heritage Day and Women’s month which are often featured by most of the presenters and deejays. Through their Enterprise Development spend, iLAB funded a portion of the development of the IT Centre in Vaalwater. This funding support, given to a youthful George Boya of Reshma Business Development has resulted in the establishment of TWO accredited IT enterprises. Having started at the Vaalwater centre, George moved out to Bakenberg which is home to 48 villages due to the need for IT Training in the area as well. To date, these IT enterprises have created 2 permanent jobs, whilst 13 local students have secured employment opportunities in various institutions after completing the computer training course. Additionally, the Vaalwater centre conducts training for residents in town, learners and educators and many employees who work on game farms.